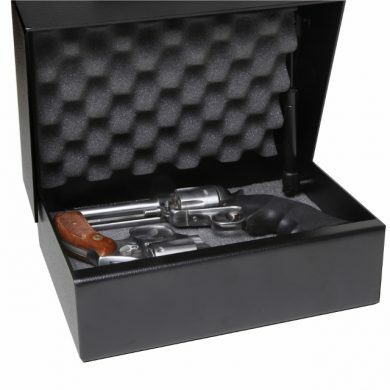 The Top Draw handgun safe is a quick top opening pistol safe which features the SIMPLEX easily programmable five push button mechanical lock that does not require batteries. 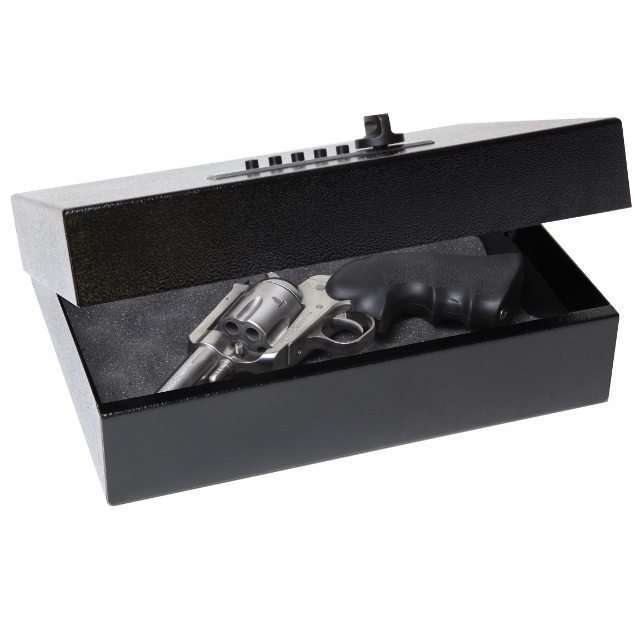 The Top Draw handgun safe can accommodate up to two pistols depending on their sizes. 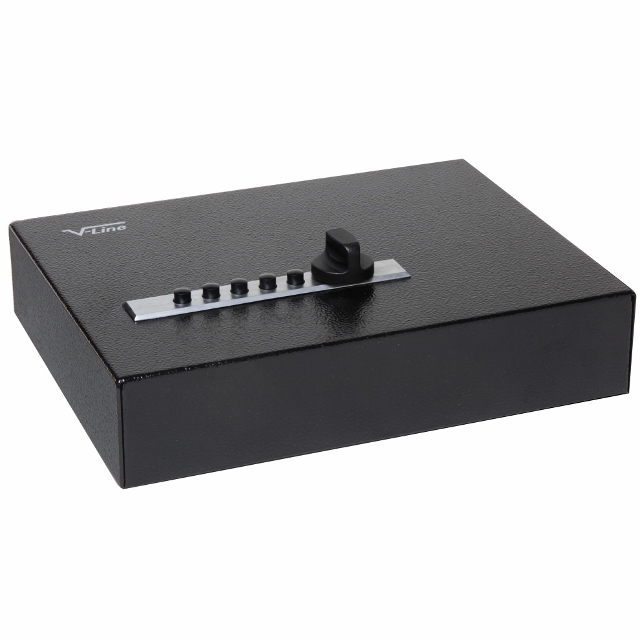 It is nicely finished in a textured semi-gloss black powder coating, accented with a silver V-Line logo and brushed stainless lock faceplate. 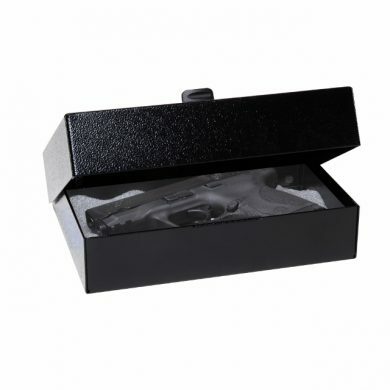 The heavy foam interior protects your firearms and valuables. 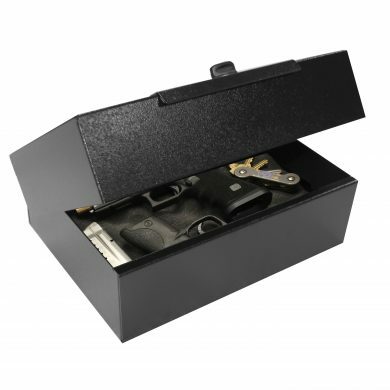 The Top Draw handgun safe has predrilled holes in the bottom and can be secured on top of most surfaces with bolts or by using our optional Quick Release Mounting Bracket (part no. 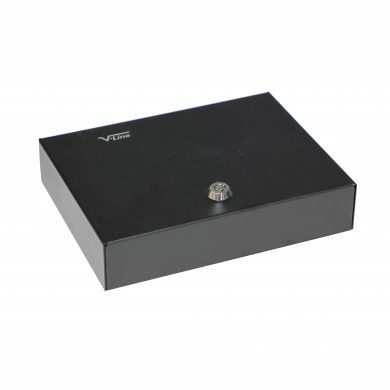 2912/3912-MB BLK). SKU: 851476006009. 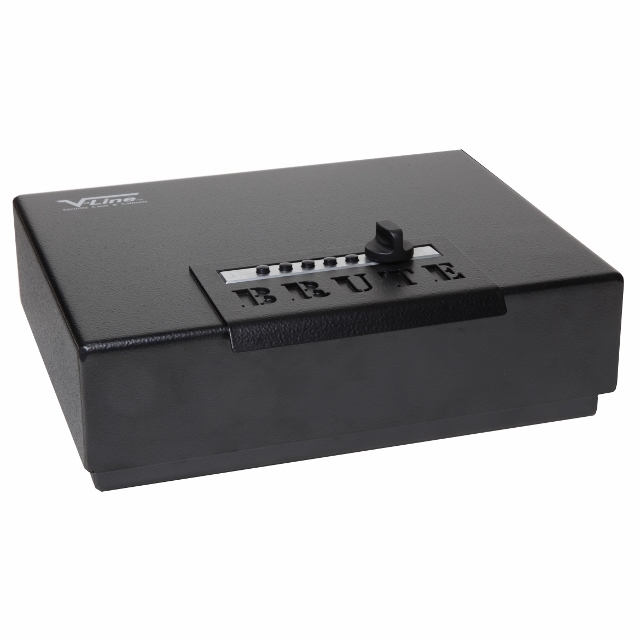 Availability: In stock Size: N/A Category: Home Security. 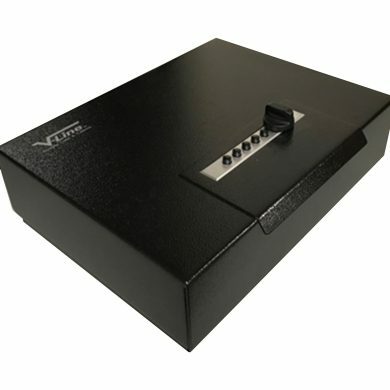 Tags: accessories, bolt down, gun case, guns, lock box, made in USA, protect, quick access, safe, security case, simplex lock, storage, Top Draw, V-Line Ind., valuables, vault. Perfect item for the job! 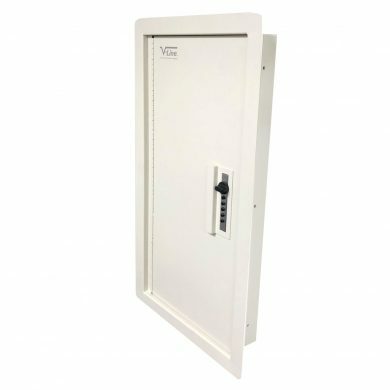 I had been looking for a small safe for the bedroom for my EDC guns. 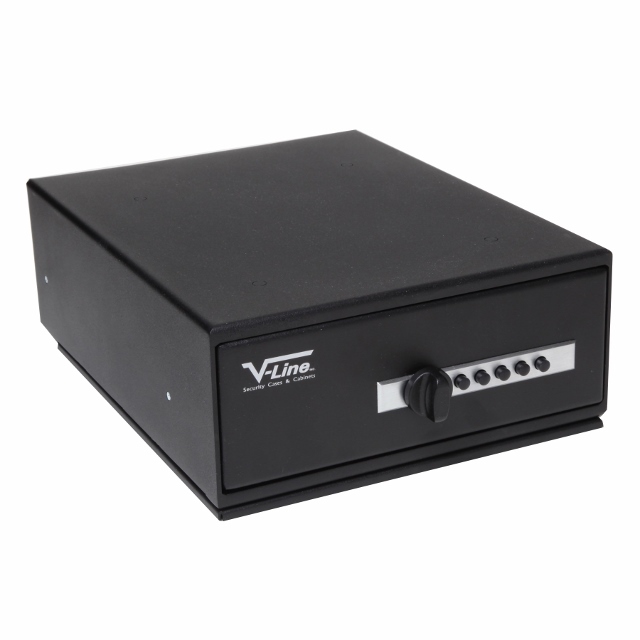 After a considerable amount of research, I narrowed the field to this VLine Top Draw and a similar product. While the two were similar, there were some differences; the other safe was heavier gauge steel, but was more expensive. The competing safe was also a slight bit larger. Both safes had the same type of mechanical lock and functioned pretty much the same. Either would have done the job. I went with Vline because it met all my needs, was smaller, but still held three handguns, and was on sale. I mounted it in a “built-in” bookcase and it works fabulously. I feel much better knowing I have quick access to a weapon if I need one, but don’t have to worry that it isn’t secured. 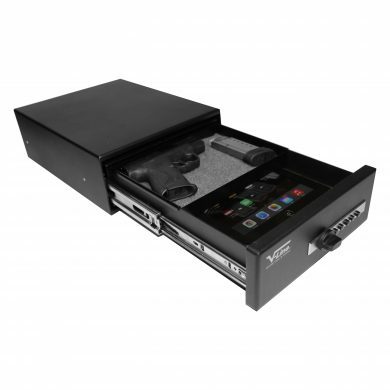 Ordered this to keep sig 226 safe in the bedroom closet. Foam keeps gun secure enough to travel. Combination is smoothe and precise. No electronics to worry about. 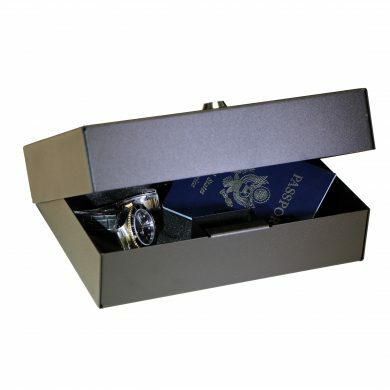 Safe arrived quickly and is very well constructed. 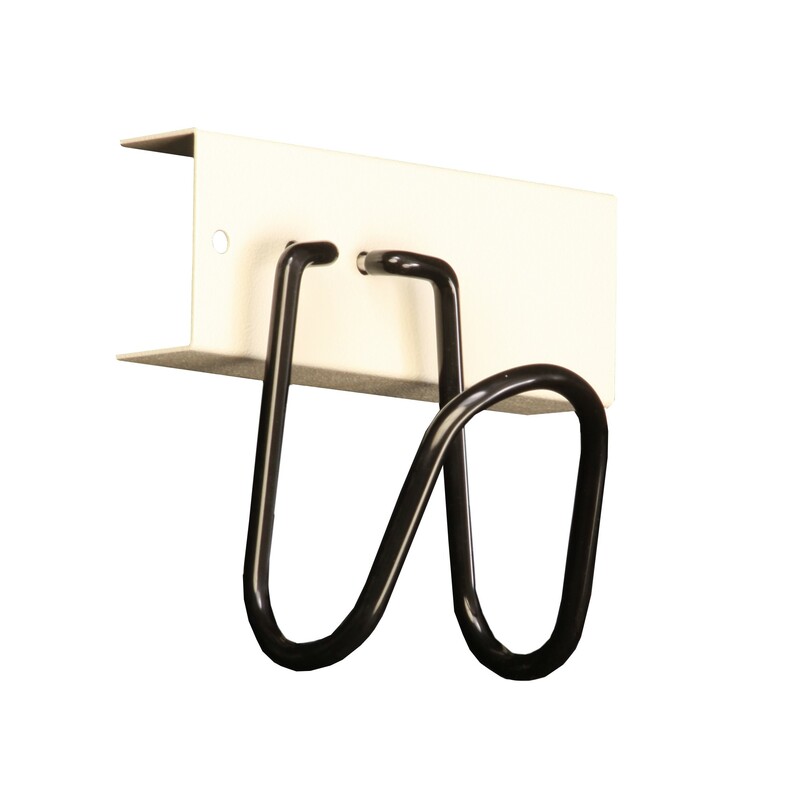 Heavy enough to be a hassle to carry out, however very easy to mount to a drawer. Simple and reliable when it counts! First impressions are very good. 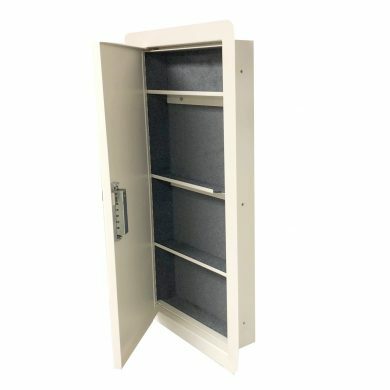 Heavy duty safe and I also purchased the plate to bolt down so the safe is still portable. I had a question on the install and the folks at V-line answered quickly. Other reviewers pushed me to purchase this product and I’m glad I did. 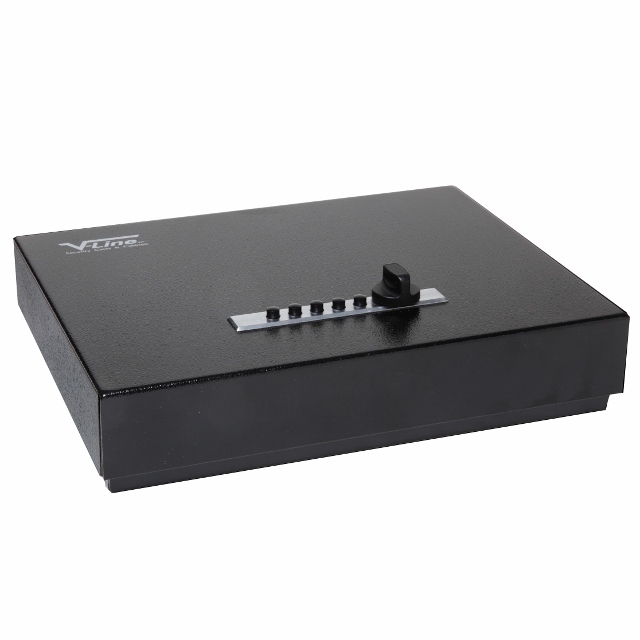 Top opening security safe with classic slim design. Continuous hinge is welded on one end to prevent pin removal. 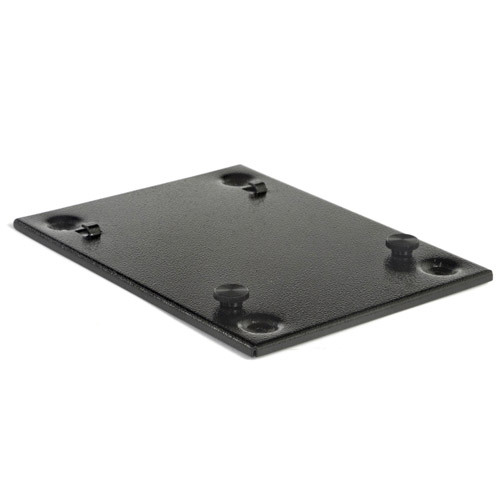 Model 2912-S can be mounted directly to any surface or attached with the optional Mounting Bracket for easy portability.